Most cheap medieval swords are, quite frankly, rather crappy.. The vast majority are overly heavy or too light, made from stainless steel or not properly tempered, have rat tail tangs or rattling, fall apart components - and no medieval knight worth his salt would even give them a second glance. Indeed, probably even his squire would turn his nose up at them in disgust.. But there are some exceptions. And if you know where to look, there are some real jewels in the junk - cheap medieval swords that are exceptional value for money. And - gasp - some are even historically plausible..! 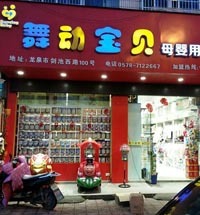 In this article, we will share with you the best bargains to be had. 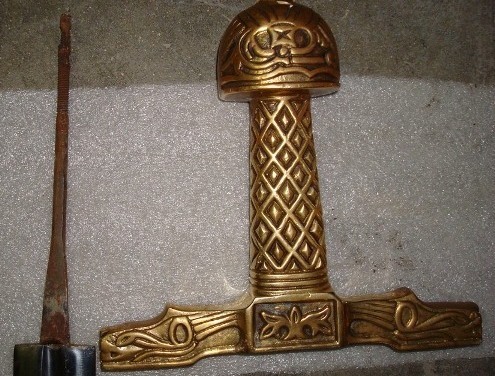 And of course, share a few examples of cheap medieval swords that you will want to stay as far away from as possible. 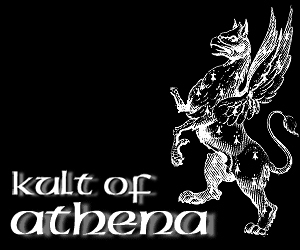 So without any further ado - let's get into it shall we..? The Cheapest of Cheap Medieval Swords.. 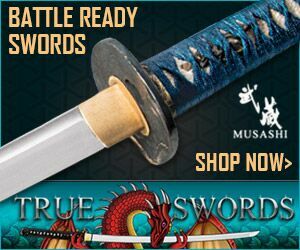 Medieval swords are second only to Japanese swords in terms of the variety available - but they tend to pivot at very different price points..
For example, you can often get pretty decent 'beater' style Japanese swords for well under $150 (actually, less than HALF that amount). 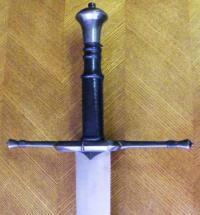 But almost without exception, most cheap medieval swords priced under $150 are a total waste of time and money. Unless you don't care one ioata about historical accuracy and are looking for something to hang on the wall - and leave it there - you are almost certainly going to be disappointed. 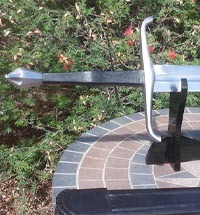 Conversely, the next jump in quality for Japanese swords starts somewhere between the $200 to $300 mark - while for cheap medieval swords, the entry level swords are typically between $150 to $200..
One option is to buy rebated entry level re-enactment swords such as the Hanwei Practical Norman Sword reviewed below. 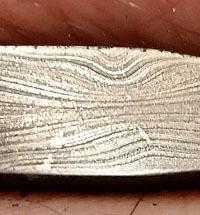 While most swords under $200 are unsharpened by default - the thick rebated edges of these swords make them extremely hard to sharpen, though some have has some success as you will read in the review. 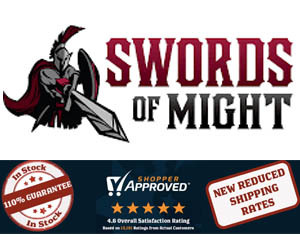 But if it's not steel on steel re-enactement swords you are after - every now and again you can actually find good quality cheap medieval swords priced under $150. Sure, they are as rare as hens teeth - and in all honesty, the search is largely a waste of time. Only one sword maker, Deepeeka of India, at first glance offers some hope. 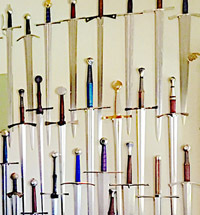 MOST of their medieval swords are under $150. Indeed, some of them - while not historically accurate - are at least historically plausible, and fulfil the role of a decent looking decorative sword or something to take to a ren-faire without any problems. But actually having some fun in the backyard cutting up water bottles and stuff with one? Very hit and miss.. It was all going so well, until these two parts of the sword separated mid cut.. 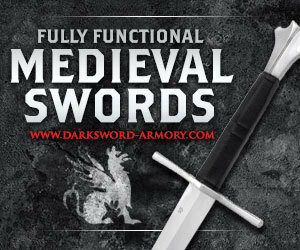 So let's take at two swords from the same manufacturer - and see both ends of the spectrum.. 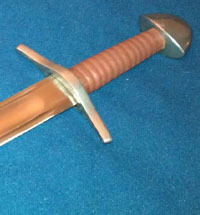 This sword was on close out from Windlass Steelcrafts for less than $100 - not something that happens often. But such bargains are to be had if you know where to look. Sure, you can't get it now. But worth checking because at the end of the review we reveal where to find this kind of bargain..
At the end of the day, its is fairly slim pickings for cheap medieval swords under $150. But don't despair if you don't want to leave it up to chance..
Windlass Steelcrafts of India have dominated the market for historically accurate/plausible cheap medieval swords since the 1970s and are still extremely popular. 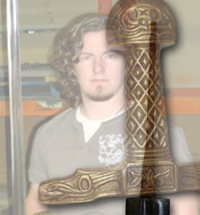 Indeed one of my favorite swords of all time is the (now discontinued) Windlass European Sword - so much so that it used to be the sword pictured in the first generation SBG logo! 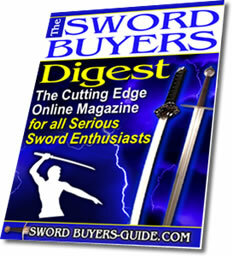 The Original SBG Logo from 2005, featuring the Windlass European Sword! 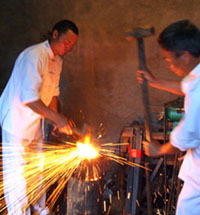 The primary reasons for their popularity is due both to their relatively low price but also the quality steel and tempering of the blades. This is no surprise, Windlass Steelcrafts are the official sword making contractors to many of the world's military's (including the Gurkas and the USMC) and have for decades - their manufacture of medieval swords is simply a sideline business, but a profitable and robust one. Probably the only real disadvantage to Windlass Steelcrafts is that they release and retire new swords so frequently that it can be hard to identify which new designs are winners and which ones are to be avoided. However, in recent years as the market has become more competitive, they have stepped up to the challenge and the number of good swords outweigh the bad, plus they have kept a handful of reliable models that they keep steadily in production.. 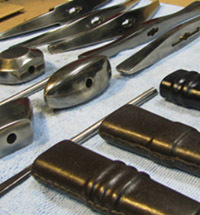 There's one more sword by Windlass to consider - a sword you design yourself.. 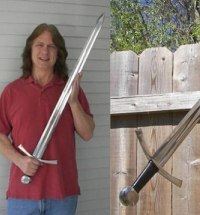 Started in 2011, the MRL Create Your Own Sword Project is a WYSIWYG editor you can use to create a pretty decent one handed arming sword - and if you forgo the scabbard (which apparently isn't all that good anyway) you can get it for as low as $170!! And of course, the review.. 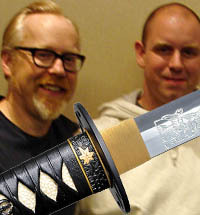 It was one of my favorite swords of all time - the fact that it was once available for under $200 made it truly legendary. 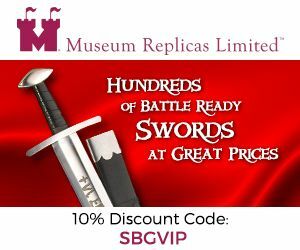 And despite being discontinued once before and brought back by popular demand, this time it looks like this design has finally run its course.. A real shame, as it was - at least in my opinion - the best sword Windlass made to date..
Museum Replicas 10% Off Coupon Code! 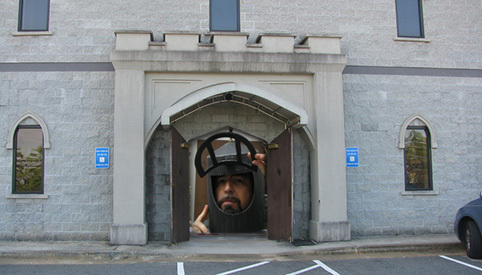 Owned by Windlass Steelcrafts, Museum Replicas Limited's showroom in Georgia has much more going on behind those Neo-castle like walls than at first meets the eye. Click here for a rare behind the scenes tour with Marc Ridgeway.